Everyone loves this charming and fascinating lights in the sky when clock strikes midnight. However, if you want to make your guests happy and organize fireworks, please leave it up to the professionals. You should also remember if you are caught with fireworks this New Year’s Eve, a fine can be imposed on you! Please also check smoke alarms, replace the batteries or even the alarm itself. 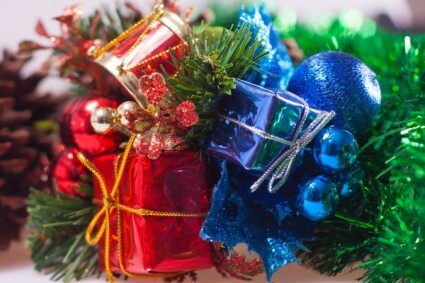 To be on a safe side, inspect all the decorations inside and outside the house. Arrange your decorations so that no outlet is overloaded and no cords will be pinched by furniture or positioned under rugs. Outdoor electric lights and decorations should be plugged into protected circuits. Last but not least, open flames (candles or fireplaces) should have buffer from any decorations. Also keep candles, lighters and matches out of reach of children. If you are hosting a New Year party, you should think about your quests and their children safety. You have to keep all stairs closed, to prevent children from falls, also close areas which are not child friendly, such as kitchens and cloakrooms. Do not leave glass bottles in a party zone, put them in a special place where they can’t be reached by children. Please provide special rooms for moms with toddlers, where they can calm down their children and get him to bed. Baby monitors will be a great help in such a case! Holidays with pets may be extremely fun, but at the same time you’ll need to give better care to them. Loud sudden noises can frighten your pet more, then child, trying to catch him. Extra attention must be paid to your dog or cat if you don’t want them to run away in panic. Many veterinarians advise to keep your pets inside your house, in a comfortable room with a musing playing to drown out scary noises. If you follow this rule, both your pet and quests will have a good time. Leaving on a family vacations please make sure that all fences and gates are secure, you have alarms all around the house. For more information on New Year safety tips regarding your house protection from burglars read our article. Please remember to take extra care during New Year celebrations. We wish you health and safety!